So you’ve conceded to the fact you need to launch a content marketing campaign and have got yourself a blog. But how do you go about creating “quality” content? Let’s start by defining “quality”. Essentially, search engines are looking for publishers that provide value to readers in their content. The “value” element is either information that is not widely known, content that is entertaining or inspiring, or content that offers good, solid advice or even curates a collection of great resources for users to continue on their knowledge seeking journey. Your audience for each piece of content is not necessarily all your social media followers. It might not even be customers that have an interest in the products you sell at this point. Your audience are readers looking for specific information or to fix a problem, or to meet a specific informational need at a particular time. For example, you may sell cars, but promoting a Mini will not interest readers looking for a Jaguar. Knowing your audience is one thing, but knowing their needs is what you must concentrate on. You could also look at not only questions people ask but prepositions and even comparisons too using Answer The Public. Since ‘best’ is one of the most used search term class in recent times the comparison content is particularly appealing. Your blog visitors are highly likely to at some point in their exploratory journey, be interested in comparing one type of car with another and finding out which one is ‘best’ amongst a number of different options. The great thing about comparison and best content is the user is likely to be much farther down the marketing funnel and headed toward transaction than some of the other types of blog post content you’ll produce. Another handy way to find out what questions your prospective visitors are asking around a topic is with a very useful Chrome Extension called ‘Extract People Also Search Phrases in Google. Once this Chrome extension is enabled, every time you enter a particular query manually into Google you’ll find it spits out a really insightful list of queries that people also searched for related to your previous search. The output is also in a very handy copy and paste field so you can literally scoop the details straight out of the search results interface and into your stack of content ideas. What generated the buzz but fell at the last post? You can also get lots of other ideas for blog content using other research tools too. For example, find out what nearly made it, but not quite, using tools like Buzzsumo. What created a buzz in your community? You’ll notice some common themes begin to emerge but of course this will differ from audience segment to segment and also vertical to vertical. Here’s an example taking that ‘mini car’ topic we just looked at, from Buzzsumo. We can see clearly that what inspires this audience to share and engage with content the most is the association of the car with an influencer, a nostalgic piece which looks at the rich history of the Mini car and also a news piece which announces something exciting ahead for the next model of the Mini. Once you’ve had a good explore through tools like Buzzsumo and Answer The Public you can also then head over to another tool we like to use, which is SEMRush. SEMRush has a wealth of related keywords in the Keyword Magic Tool based on semantics so you can really mix up the content. As search engines work on some notions around understanding when something is related to another item using relatedness you really can mix things up with your content but still be very relevant for a topic. Here’s your chance to build upon something which you know generates buzz in the audience by creating something better than that which has gone before. In the same way a skyscraper adds another floor onto the building you can add another dimension with an already tried and tested formula. The key is to do your research well beforehand. Consider the research phase to be similar to digging down the foundations to your skyscraper. It might take a while before it looks as though anything is happening but the ‘building’ (in this case your campaign or piece of content), will stand the test of time and be built on very solid ground. Sometimes curation has a valid, and valuable role to play in the content ecosystem. Curation occurs when a content creator gathers together other sources into a listicle, article or blog post around a particular topic. An example of this might be – 15 grey 1950s bathroom styles. The curation in itself meets search queries in a valuable way but also provides an opportunity for other sites to benefit from the process of the curating. In the same way that a search engine gathers together results in an organised fashion, a content creator gathers together rich content on a very specific topic and presents that in an engaging manner. There are some great examples of curation out there and another bonus with this type of content is that if it is done well, and structured clearly there is an opportunity to capture the much sought-after featured snippets in Google’s search results pages (SERPS). There is usually only one of these types of results and capturing the featured snippet allows you to effectively leap frog past other web pages straight into position zero. On that note, whenever you are creating a blog post, article or any other type of content you should always check what Google (or Bing) are showing in their featured snippet for the queries you have in mind for the piece. Is it an ordered list, an unordered list, a step by step directions, a how-to, a piece of text? If you have access to a smart-speaker such as a Google Home or Google Assistant on your phone ask the query too. What is the answer you receive and from what site? Make your decisions around the content you create with this information in the mix too. Whilst in many cases featured snippets are marked up with schema, there are plenty of examples of unstructured and semi-structured data from plain web page text which have them captured too. Where possible always add structure in the form of headings, tabular data, unordered and ordered lists. Articles need structure. The opening paragraph must lead on from the title and capture the reader’s attention. Always go back and change your opening paragraph two or three times so that it explains the article in a sentence or two. To help focus your article and ultimately your opening paragraph, outline the ideas you have for your article and list them in a logical way that enables you to seamlessly switch from one point to the next. First of all, choose a topic you intend to write about. Don’t give word count any consideration, but make a note of what keywords you need for search engines to index the page. Also bear in mind that your article needs to be structured probably for reading on the internet. This requires you to include sub-headings every three or four paragraphs (although for long articles of 2000+ you can squeeze in more paragraphs between headings. The most difficult part of your article will be the actual writing. Actually it will be finding the words to start writing in the first place. Here’s a tip for you – just write! Don’t deliberate by trying to think of the right words to come up with the perfect opening. That rarely happens and all you actually achieve is wasting time (and probably eating 230g bar of Cadbury’s in five minutes). The best thing to do is to just start writing and you will soon find the words flow out of you. Once you have laid the foundations you can go back over your work and build on what you have. Writing is an art whereby you have to be able to deliver a message to your audience as if you are speaking to them face to face. Therefore use words you would actually say if they were in front of you. If it helps, talk out loud whilst you write. Don’t be surprised when someone calls you crazy, but if you also wear a Bluetooth attachment you might just get away with it. The most important part of your blog article is the title. It needs to grab the reader’s attention so that they click through. Toy around with some titles whilst writing your post, but use a working title and decide on your final title at the end. Writing an article in its entirety gives you a better understanding and appreciation of what the core message of the article is about. Don’t be surprised or concerned that your article doesn’t take the same shape as the idea you originally had in your head. Once you have honed your article down to the most relevant point, you should be able to extract a suitable heading from it that tells the reader exactly what they can expect from the article. If you are new to blog writing, you are probably full of enthusiasm – and maybe even a little excited? But thinking about blogging and actually doing it are worlds apart. Follow this simple formula and it will help you produce “quality” content. 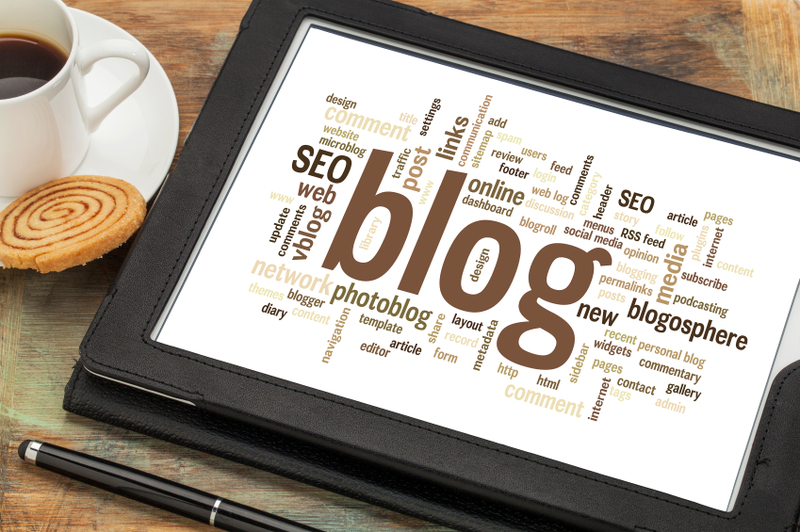 Why Your Next Blog Writer Should Be A Marketing Buff? To create a successful blog you need two things: a top writer who can produce quality and a marketing mind to connect it with a target audience. Which means the writer and marketer need to work in perfect sync to take content fro the planning stage to published blog posts that contribute to a wider strategy. Which is why it makes sense to hire a writer with enough marketing know-how to think beyond their individual blog posts and build towards the bigger picture. Because there is no clear line between where writing ends and marketing begins; the two are synonymous when it comes to content marketing. Obviously it helps to hire a writer with some (up-to-date) understanding of SEO – keywords, anchor text and other on-page elements. But a successful blog is far more than a collection of separate articles and SEO copy, which calls for a blogger with a more strategic approach. Just by looking at a number of business websites, you can see they hire a writer to cover their blog and leave it at that. If you’re lucky enough to find a writer who understands the importance of your audience and what they’re looking for then you have done well. But this doesn’t get your content very far without the marketing knowledge to get people reading your blog posts. Blogging has been a vital part of building an online presence since the early days of the social web. Your blog page has a number of roles to play and if you ignore any of them, you’re not getting the most from your content strategy. Aside from giving search engines to index your content and a platform to put your keyword strategy into action, blogs are a direct link to your target audience. Which is why you’ll hear the term quality crop up so much. Top blog content not only gives your audience something valuable but it gives you a chance to keep them on your website and direct them along the conversion process. To do this you need readers though, which means you need a writer who knows how to reach out and find your audience. If you want your blog posts to be read you need to build an audience. Guest blogging, social media and SEO are all vital parts of building your online presence and to get the most of these channels your writer needs to understand each of them. Guest blogging, for example, has changed a lot in recent years and it takes a much more strategic approach to build links naturally and grow your audience. While using social media to channel traffic towards your on-page content requires a pathway of content, linking your social audience towards your website. So the line between writer and marketer needs to fade if you want to get the most from your blog and other content channels. And if you plan to invest more into digital marketing for 2015, start by hiring a writer who knows the industry. Successful content marketing campaigns rely on your ability to attract traffic to your blog. It is therefore worth your while to invest time, and if needs be money, to grow your blog using tried and proven tactics. This is how the experts do it. If you are new to blogging, it is difficult to attract a significant amount of organic traffic. You therefore need to create traffic through alternative avenues such as social media networks, blog forums and community forums. Your objective at this stage is to build an audience that will have a genuine interest in your content. You will not attract readers if the content does not relate to their interests. Start by trawling through social networks and community forums and answer any questions that are posted by users looking for answers. If you have already written content that is relevant to the question being asked then great, give a short reply and leave a link back to your article where the user can find further information. If you do not have relevant content posted to your blog already, cease the opportunity to create content. This tactic not only helps you create ideas for your blog, but gives you a better understanding of your audience and enables you to build an online reputation as an expert in your field. Building relationships with your followers is a skill in and of itself. As mentioned above, interaction with forum users and social media followers enable you to identify a relevant audience, rather than connecting with as many contacts as possible. Quality is better than quantity. You can also try approaching other writers that publish cross-over content. You may read an article that mentions a subject you have covered in more detail. Ask the owner of the website, if they would like to include a link back to your article in order to give their audience more information. Building relationships in this way will also give you an “earned” inbound link that is excellent for page rank. The more people linking back to your site, the higher you will rank in search engine results. Google still says that links are one of the most important ranking factors. They want to identify the best quality sites and judge the response towards content to grade whether it offers value or not. At the moment one of their best tool to measure these verticals are by using links. The link metrics used by search engines look for two things; incoming links and outgoing links. Outbound links are the links from your webpages to either pages within your own site or pages from your webpage entirely outside of your site. You have the most control over outbound links and should be including them in your content. By doing so you will improve citation and trust flow to other quality resources. You add to a healthy eco-system of the web. Outbound links are the links you embed in your own content and post to your blog. The content you are linking to must be relevant to the theme you are posting or relevant to the citation of the point you are making. The idea is to provide your visitors with further reading material they can use to gain more information, compare opinions or verify what you are saying is true. Therefore only link to sites that you trust publish good content. It is worth pointing out, that just because a website you like now may not have a high trust or authority score. The site may be fairly new for example and is still establishing itself as trustworthy in the eyes of search engine crawlers. That does not mean you should not link to it however, providing you are confident the quality of the content they are publishing offers value to readers. Inbound links are links to your webpage either from pages within your own site or from entirely outside your site to your webpage. The best way to increase your SEO ranking is by receiving links from other people’s content, known as inbound links. This means you have to produce quality content that other writers that can use it in their own work. If your content is relevant to that of other writers you have more opportunities to receive incoming links. The problem with outbound links (from outside your site) is they are difficult to get. Once Google cottoned on to marketing attempts to manipulate outbound links by publishing guest blogs (and even paid links) with embedded links back to their site on third party websites, the search engine giant got tough. Google updated its algorithm to determine the trust and authority levels of websites. Established websites that are attracting a lot of traffic indicates the site is offering something of value to its readers and is worth visiting. This is the type of site you should be linking into, and hopefully receiving links from. There is however, an ocean of low quality sites that do not publish good content and were launched purely for the purpose of money-making by selling links to online businesses. If you attract external links from these type of sites you will be penalised. To increase your chances of receiving inbound links, get active on social media networks and follow other writers that cover the same theme or industry as you do on your own blog. Writers covering the same topics are more likely to link to you than followers that do not keep a blog. Social media is not merely about attracting customers, but actual followers as well. Online magazines, including industry specific eZines, were warned they cannot provide outbound links in the text, and could only offer no=follow links to writers. This does not mean other writers will not link to your site from topping ranking magazines, but you cannot writer a guest post with a link to your site. Editors will reject your article regardless of how good the content is. No=follow links unfortunately do not count as an inbound links, although if you do have the opportunity to publish content on such third party sites, you can improve your online profile and with it your trust and authority amongst readers which in turn will send indicators to search engines that your trust and authority scores should be lifted in page rankings. Once you have started to attract a reasonable amount of followers, publish content consistently. Ideally, you should be posting content regularly, although because of time and financial constraints this option is not available to everyone. If you can only post one or two times a week, make sure to post on the same day so your followers know they can expect to find something. If you post content for a couple of weeks in a month, and then nothing at the end of the month, readers will stop visiting your site. If you can pounce on breaking news and post the story before other writers, you will attract inquisitive followers that hone in on new developments. Set up RSS feeds with leading industry magazines and blog writers you admire to catch news snippets when they are most fresh. Once you have posted the news story, write relevant content that has longevity. Search engines rank pages so the more visitors you have to a page the higher it will rank and turn up in search engine results. Detailed articles that offer value over the long-term will continue to attract readers years after you initially posted the content. People are intrinsically interested in people and you’d be surprised how engaged the audience will be if they get a peek into what goes on behind the scenes. Interviewing your staff or key members of your board about their roles and thoughts on the industry they operate in may be much more interesting to your audience than you thought. It will also show the real people behind the brand and provide for future engagement opportunities going forward. Interviewing your staff and key players and bringing them out into the light might well also give the interviewees a taste for taking the limelight and lead to them being much more front-line and positive about sharing company news and blog posts on social media. Win-win situation. The quality of your content is vastly important. If your blog articles do not read well, or are thin on information, readers will not come back to read other posts. If you are not confident in your writing ability, it is better to pay a professional writer to maintain your blog for you. If you do not have much in the way of financial resources to pay a professional writer, take the quality over quantity approach. Two quality posts a month are better than two low quality articles a week. The principle purpose of a blog is to drive traffic to your site. The best way of doing this is to provide information readers want to know about. Your blog is effectively a sub-domain of your principle website where you are selling products and services. Readers are quickly put off when they realise they are reading a sales pitch rather than impartial advice. You therefore have to be careful not to be too over enthusiastic about a product which you want to promote. Blogs are a common trend among online businesses and with so many jostling for position, having a proven strategy to grow your blog will eventually see you anchor a high page rank in search engines. Need help with content creation or SEO? Get in touch.